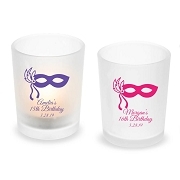 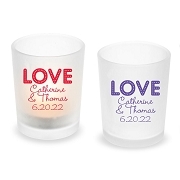 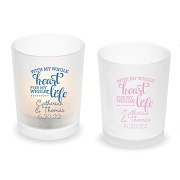 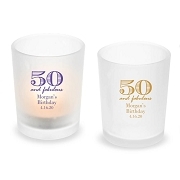 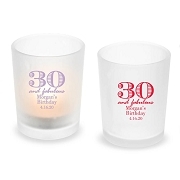 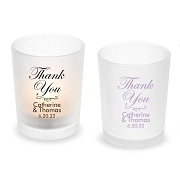 Complete your wedding table decoration with one of our personalized tea light & votive candle holders. 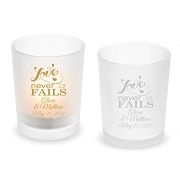 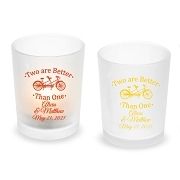 They are available in different styles to match your wedding theme. 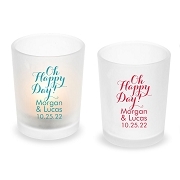 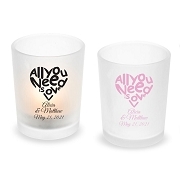 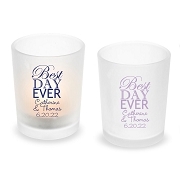 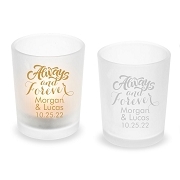 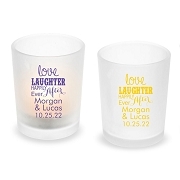 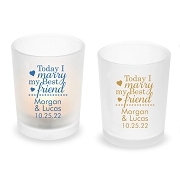 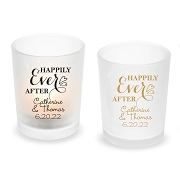 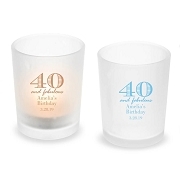 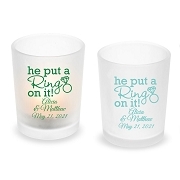 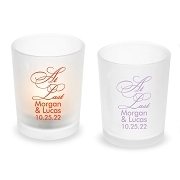 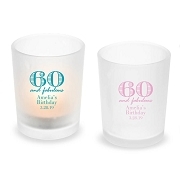 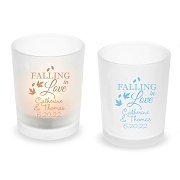 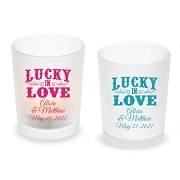 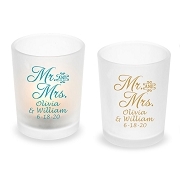 These printed frosted glass tealight holders also make cute wedding favors for your guests.